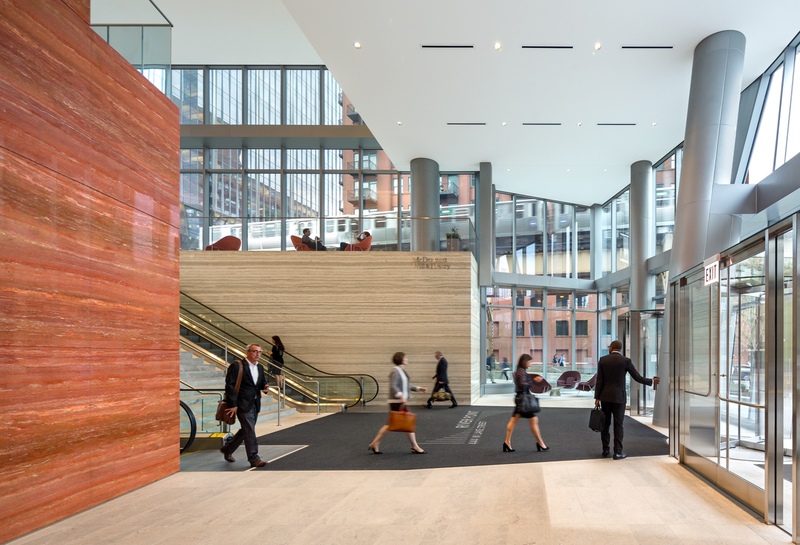 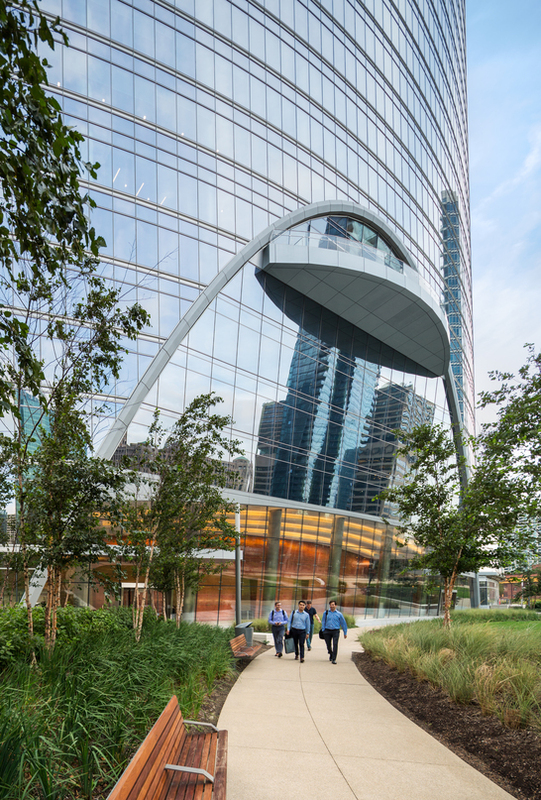 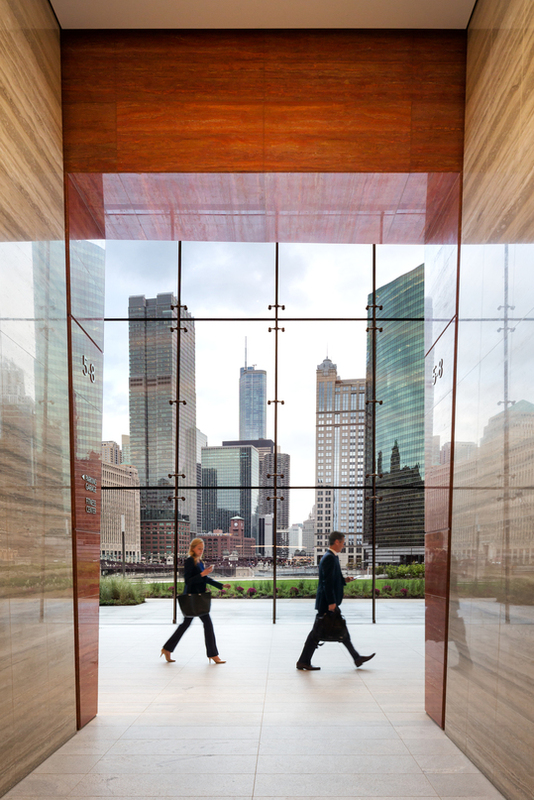 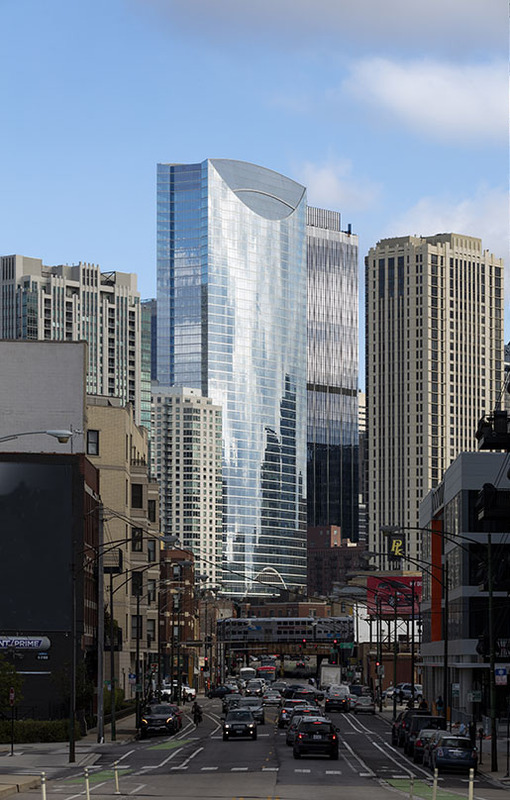 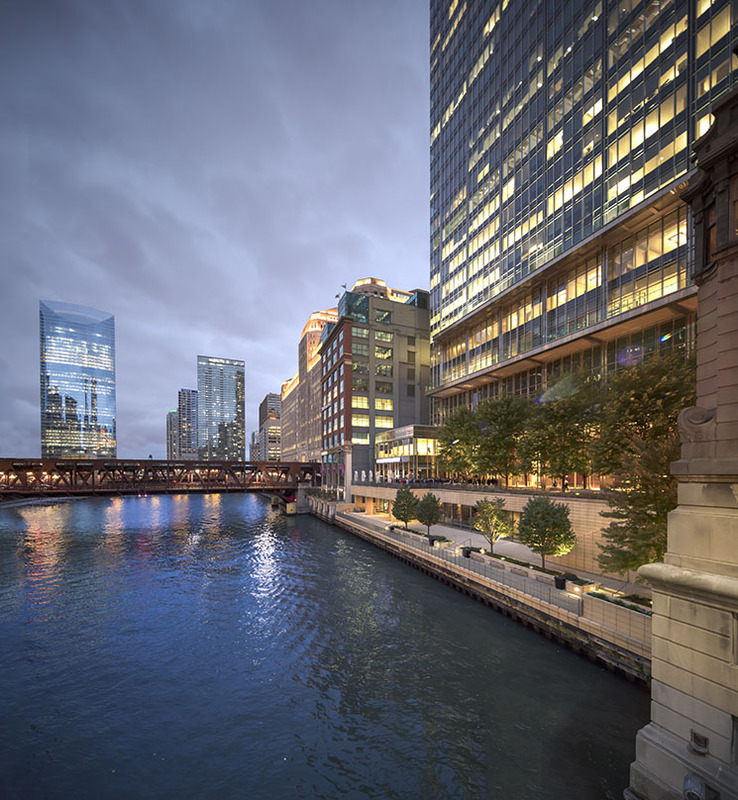 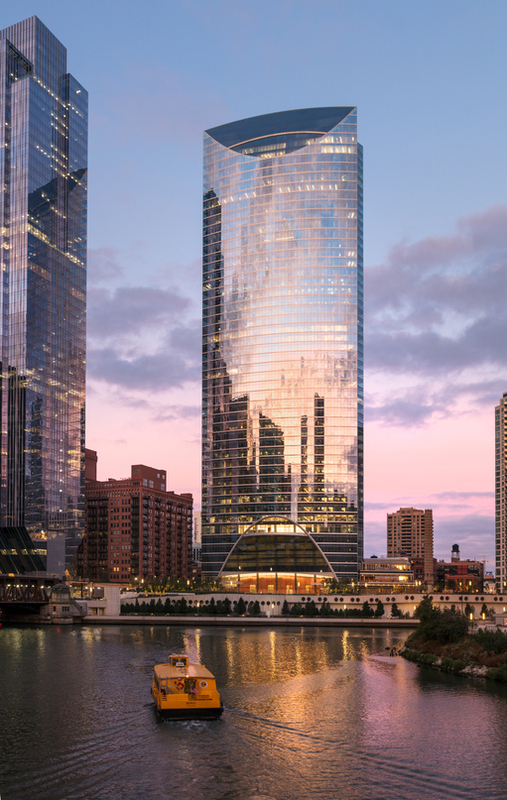 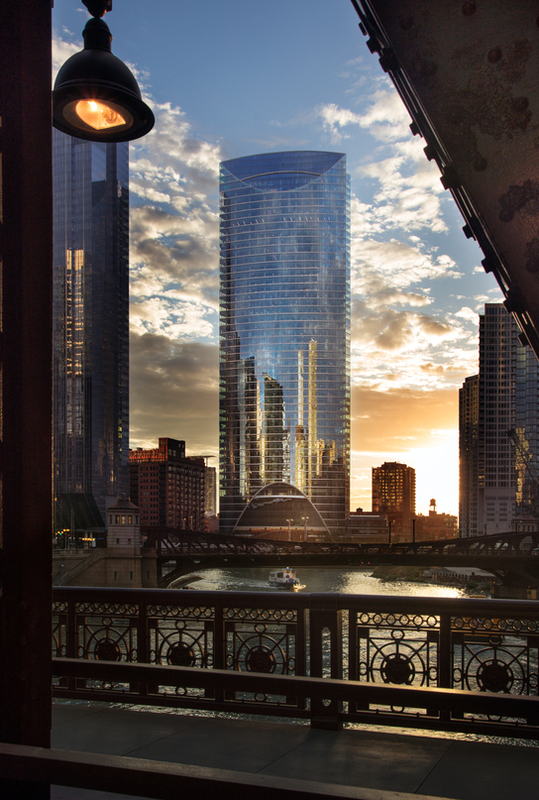 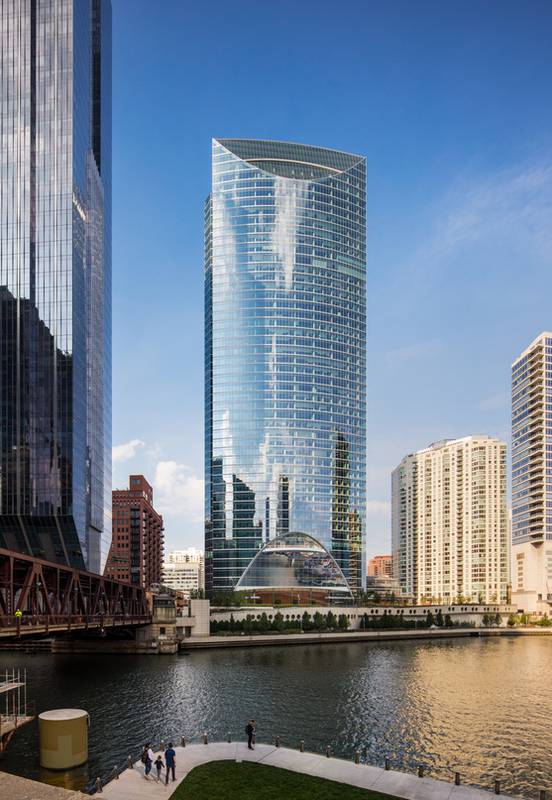 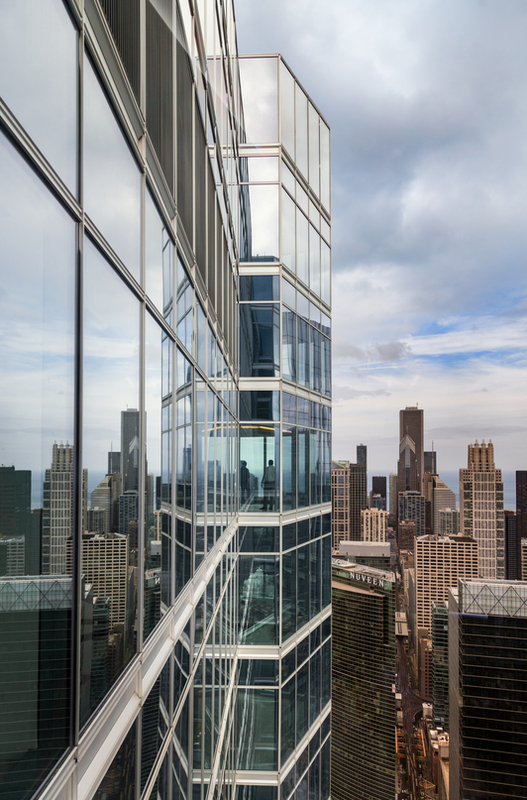 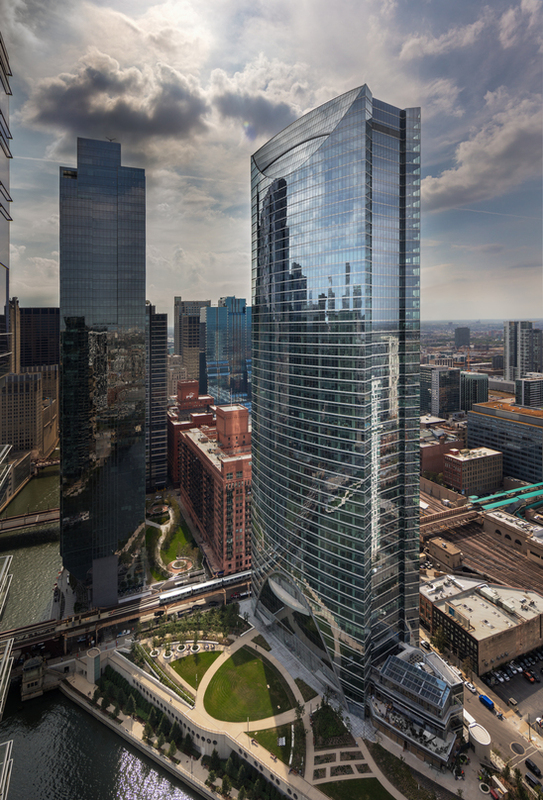 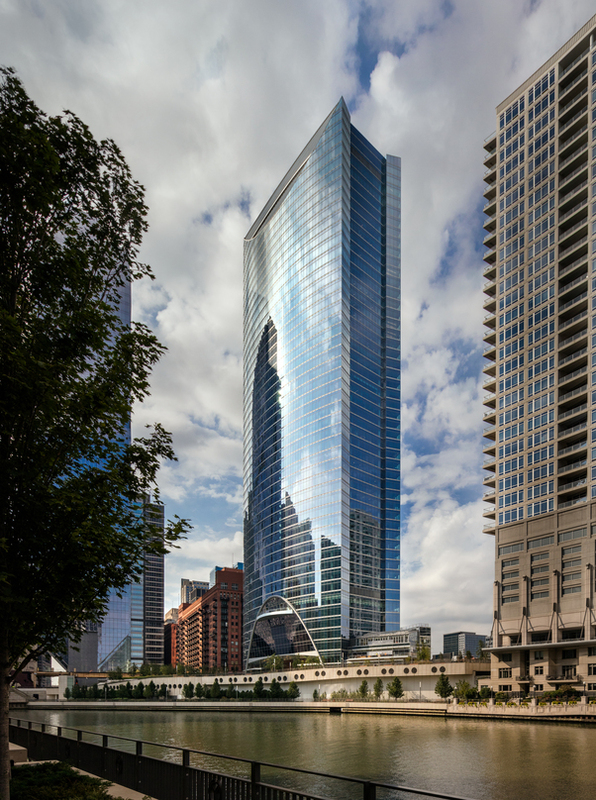 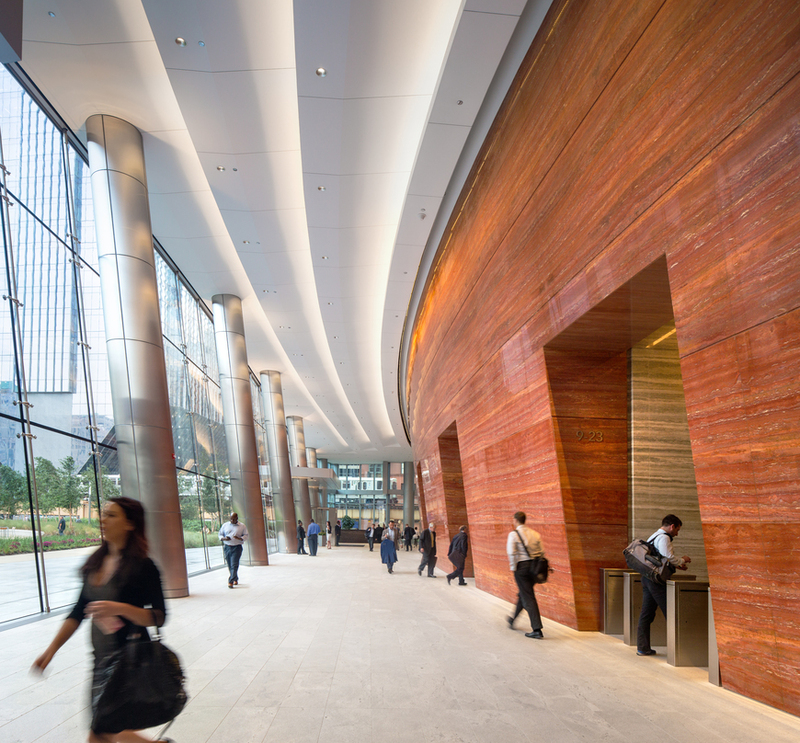 In the spirit of Millennium Park, and Chicago’s current arts-based renaissance, River Point presents a shimmering, curved façade at the confluence the Chicago River and its North Branch in Chicago’s downtown. 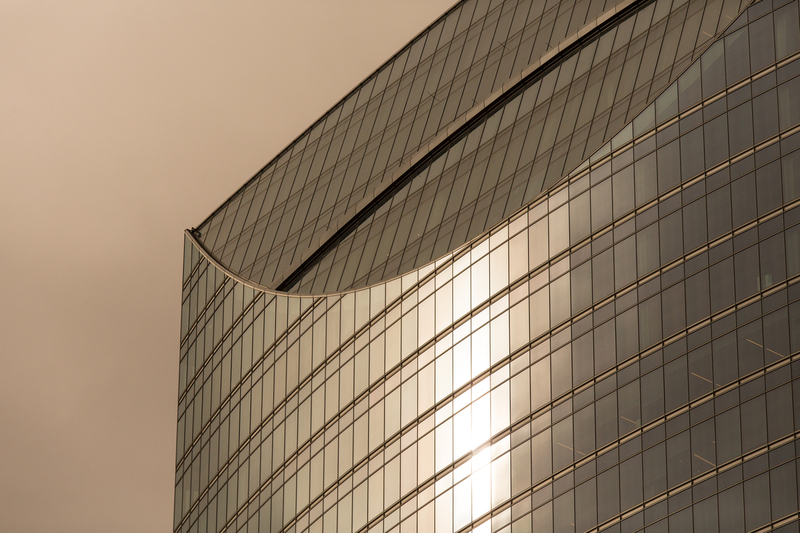 The convex surface captures natural light for the interior as well as providing panoramic views outward. 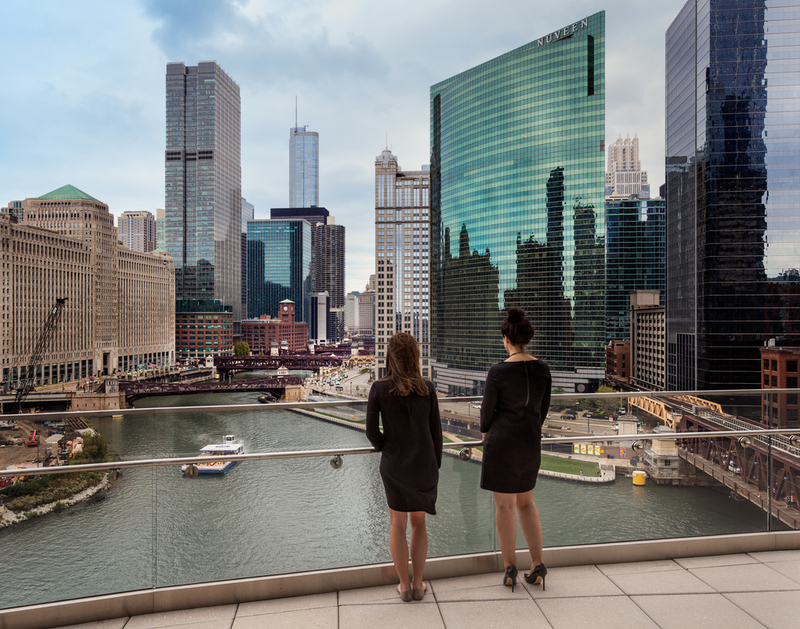 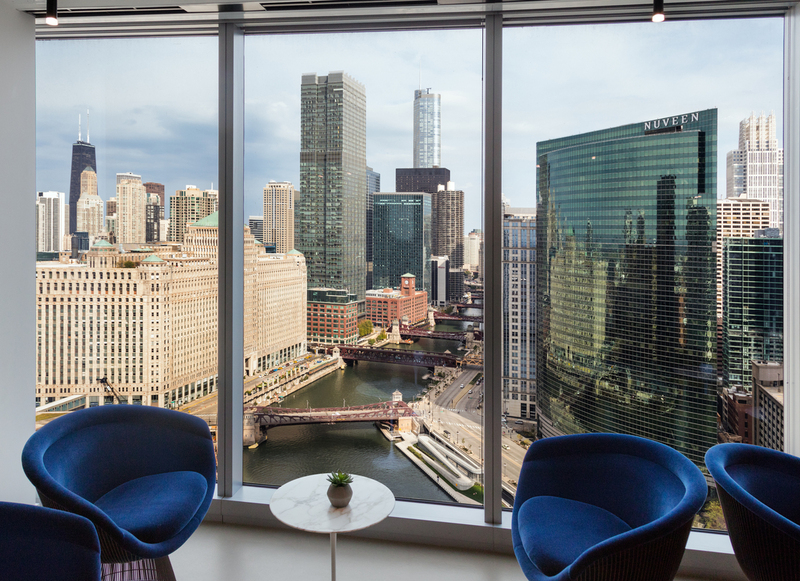 The building overlooks not only the river but, from its upper floors, Lake Michigan and Chicago’s bustling downtown. 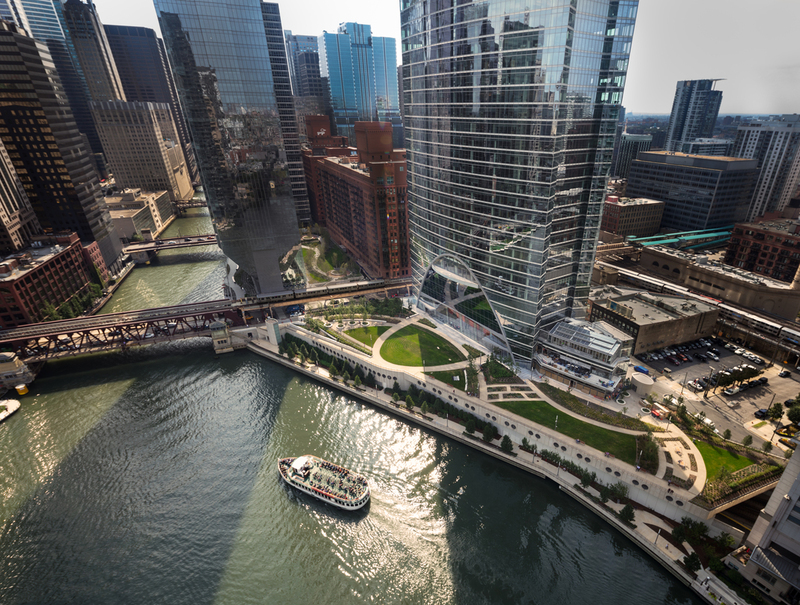 At the tower’s base, enlivened by shops and restaurants, a 1.5-acre, terraced public park on the riverfront provides a welcome amenity for the West Loop neighborhood. 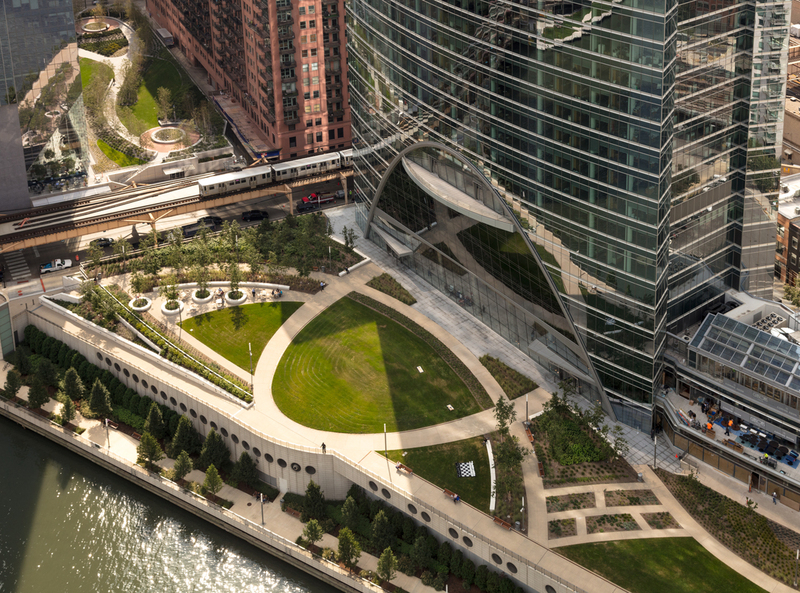 This new civic space, with water features and seating, joins others in encouraging pedestrian activity along downtown Chicago’s unique riverfront.